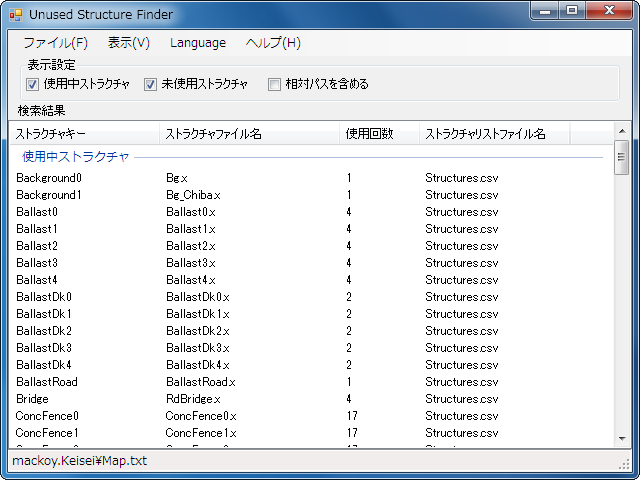 Unused Structure Finder supports English, even though this page is mainly written in Japanese. 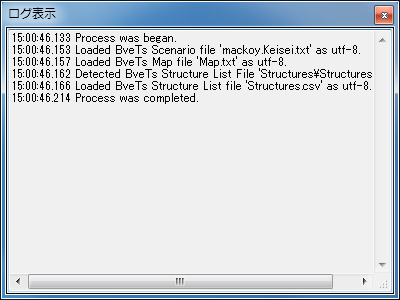 Not only the app can display its UI in English, but also the app package contains English help file. You can get it now from the Download section below. 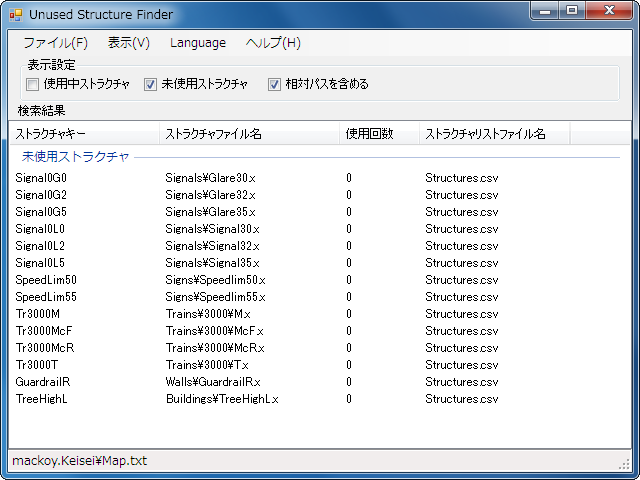 On the app launch, the language is automatically set by your Windows configuration. Also, it can set manually from "Menu Bar > Language" on the app.